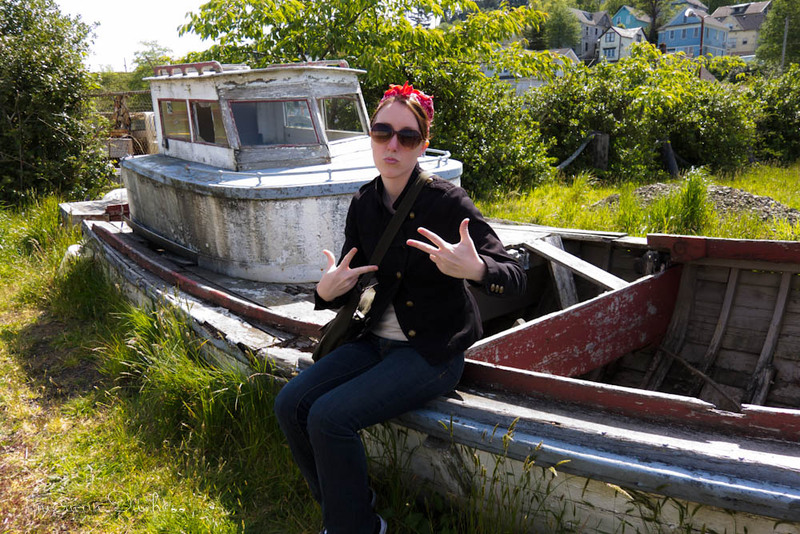 Ahoy, from Astoria, Oregon! Today Carolyn and I spent a lovely afternoon strolling around this quaint little seaside town, touring the stunning Flavel mansion, and finding treasures at the many antique stores. We didn't dress in costume for going on shore, but tonight we'll be in vintage formal attire for dinner and the evening shows - Carolyn found a gorgeous teal 1940s gown, and I'll be wearing my salmon colored New Look find from Haight & Ahsbury, a couple days back. Yesterday was a "sea day," with the entire day spent sailing up the Oregon coast in some pretty rough waters. I was stuffin' down dramamine and saltine crackers all day, but Carolyn was fine, and we gave a presentation on the history of the town of Astoria, founded in 1811. I talked a little about the fashions of the time. 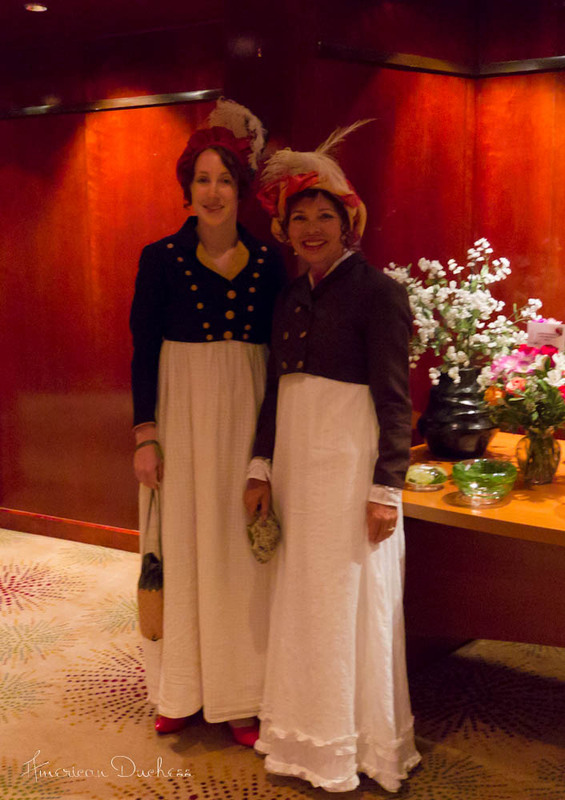 Carolyn and me in our Regency attire. Later that night I danced the Funky Chicken in this. No really. We're off to Victoria and Vancouver next. We unfortunately don't get to spend any time in Vancouver, just catch the plane back to Reno, but I can't *wait* to see Victoria, the Empress Hotel, and Buchart Gardens. 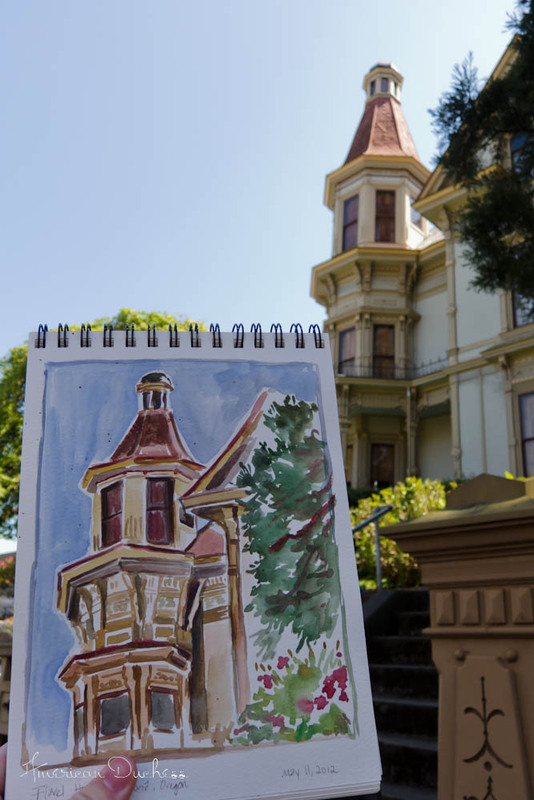 You were so close to us :D I love the Flavel house!!! hahahahaha..I LOVE that first picture!!! brilliant! Astoria is one of my favourite towns...I'm hoping to go back sometime in the autumn as it's been ages since I was there! I always manage to just drive through Astoria and never stop, except for gas. I'll have to reconsider my wanton ways after reading your wonderful travelogue! Welcome to the Pacific Northwest!